MossyMade: Lawn Fawn September Inspiration Week: Say What? It's the final day of Lawn Fawn inspiration week and today we are featuring the new Say What? stamp set. This set is designed to create some cute fun tags and has a coordinating tag die set. But today I have a card using the little images without the tags. 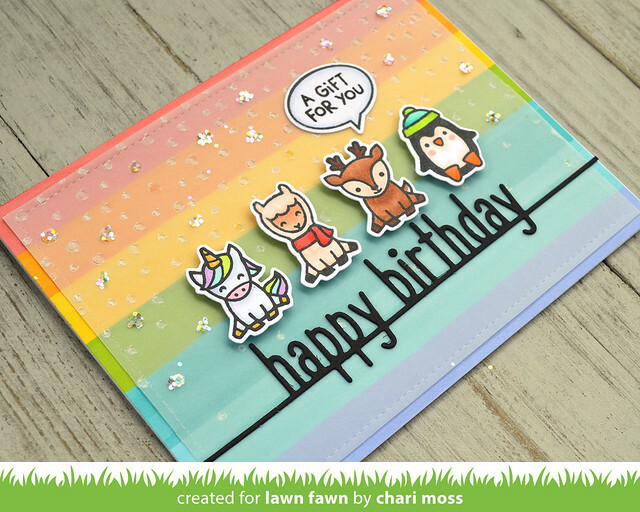 I used the pretty rainbow stripe paper to cover my card base. Then I embossed the snowfall backdrop onto vellum using a rubber embossing mat in my die cutting machine. I thought this gave the look of party confetti. I cut the vellum rectangle slightly smaller with a stitched rectangle die. 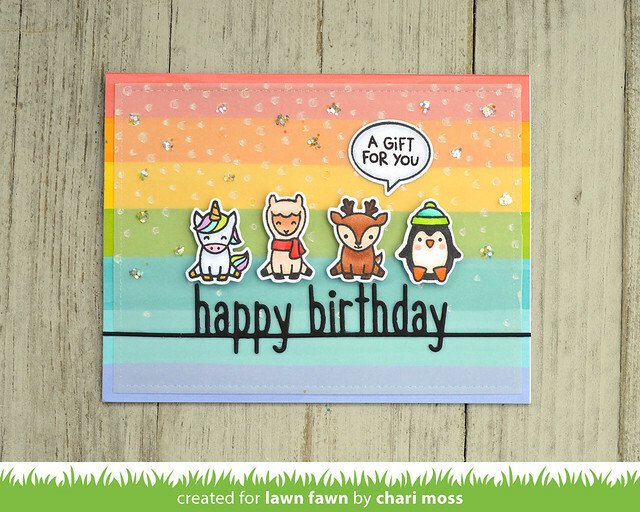 I used the happy birthday line border die cut from black cardstock for a bold sentiment to underline my little animals. I added some glue to some of the snowfall dots and added chunky glitter to add to the confetti effect. 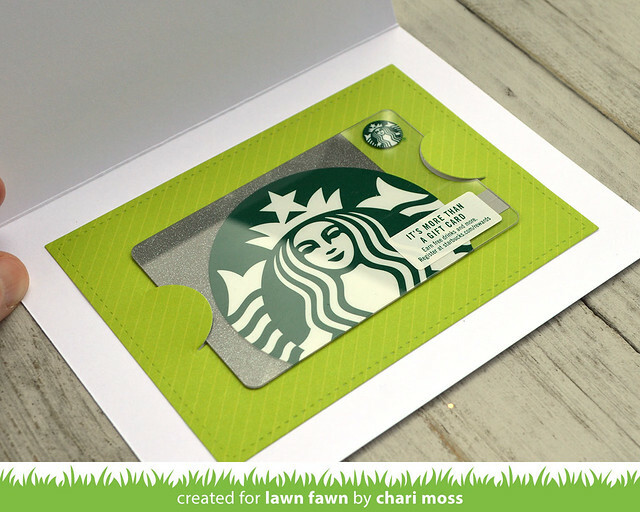 I added "a gift for you" to the front because inside there is a slot to add in a gift card. Be sure to check out the Lawn Fawn blog for more Say What? projects and you can check out how this card came together as part of the Say What? intro video. I love the design of your card! I've bought some vellum a while ago and never knew how to use it. Thanks for your inspiration Chari!